In addition, downloading course content from the internet and presenting it as your own is regarded as plagiarism. This is the act of presenting another person’s work or ideas as your own and is a serious breach of ethics at UNSW. Read about avoiding plagiarism on the Plagiarism page. Copyright law places limits on how much of a published work you may copy and/or communicate to others. This relates to print, electronic and audiovisual materials. It provides a balance between rewarding creators for their original works, and ensuring reasonable access by students to those works. Sections of the copyright act are displayed prominently in photocopying and printing areas of the Library. Copyright is the intellectual property of authors, composers, photographers or artists which gives them the exclusive right to copy, publish, perform, broadcast or to make an adaptation of their work. Copyright in an original work is automatic and subsists as soon as the work is created. Under Australian law a copyright work is protected whether or not the work has been marked with the copyright symbol ©. Works published in any form, whether on the Internet, in hard copy or in any other medium, are protected by copyright. Under the provisions of the Copyright Act 1968 (as amended), students are permitted to make single copies of literary, dramatic, musical or artistic works provided they are required for research or study purposes and provided they do not comprise more than a reasonable portion of the work. As a guide for print materials, a reasonable portion is regarded as 10% of a published edition, or one chapter. As a guide for electronic materials, a reasonable portion is regarded as 10% of the number of words in a published work. The University provides students with access to computer systems and facilities for academic and administrative purposes. Individuals who are found to be using the University’s systems to engage in conduct which infringes copyright, are exposing themselves and the University to legal action. Under the University’s Acceptable Use of UNSW ICT Resources, copyright infringement by students will be treated as student misconduct. The copyright pages of the Library website include more detailed information. Copyright law provides a balance between rewarding creators for their original works, and ensuring reasonable access by students to those works. Works published in any format, whether on the internet, in hard copy or in any other medium, are protected by copyright. 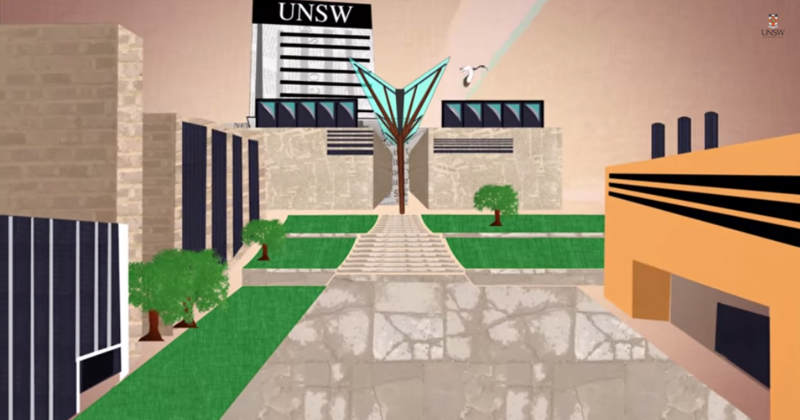 UNSW Library has licensing agreements with publishers so that the Library's resources are available for students to use online for study and assessment. The Library can help you find the resources you need. You’ve probably noticed sections of the Copyright Act displayed near photocopiers and printing areas in the Library. Remember, these same copyright provisions apply to works wherever you are using them. This also includes the ethical use of course materials provided to you during your studies at UNSW. Uploading and sharing this material without permission is illegal. When you do use other people’s works you must make sure you acknowledge those sources in your assessable work. Make sure to check your course outlines for information and the university website about how to correctly attribute your sources.